Letter: Does anyone recall June? I am a Spanish photographer on an artistic project about a family album with 65 images that I found in London. The main subject is the daughter (born in 1929, died 2010, and pictured with her father in Scarborough in 1933). You can check the project at http://cargocollective.com/tonylorenzo and look at the images, Finding June. 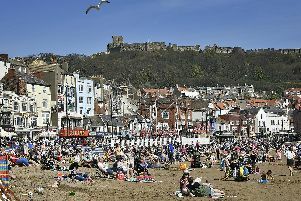 The family is shown in the Scarborough and Yorkshire zone. I’ve been trying to find clues about where to keep searching, the only details I’ve got are: the name June (sometimes the family name is Lomax and sometimes Bellamy). If any of your readers have any information at all, I can be contacted at tonylorenzo@hotmail.es or on 07580 751933. I will be in Scarborough on March 15 and any help would be gratefully appreciated.